Onion powder is made from finely ground, dehydrated onions, mainly the pungent varieties of bulb onions, which causes the powder to have a very strong odor. Onion powder comes in a few varieties: white, yellow, red and toasted. Eye irritation, as onions are sliced or eaten, cells are broken, allowing enzymes called alliinases to break down amino acid sulfoxides and generate sulfenic acids. A specific sulfenic acid, 1-propenesulfenic acid, formed when onions are cut, is rapidly rearranged by a second enzyme, called the lachrymatory factor synthase or LFS, giving syn-propanethial-S-oxide, a volatile gas known as the onion lachrymatory factor or LF. The LF gas diffuses through the air and eventually reaches the eye, where it activates sensory neurons, creating a stinging sensation. Tear glands produce tears to dilute and flush out the irritant. Chemicals that exhibit such an effect on the eyes are known as lachrymatory agents. I got a high five from my family on this tasty side dish. 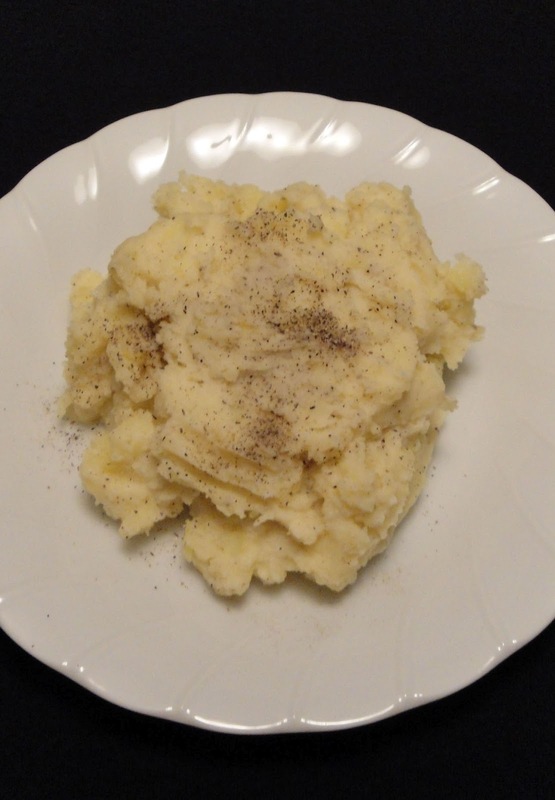 Try this easy dish, you will have your family guessing what's in the potatoes. Place potatoes in a pot, cover with water. Boil potatoes until tender. Drain and return potatoes back to the pot. Add butter, onion powder, salt, pepper and cream of potato soup, mash. Transfer to dish. Sprinkle with black pepper, if desired. Enjoy! I wanted to take a moment to say thank you to all of you, for being a part of Christine's Pantry. I am very happy to have you in my life. Ooo, I bet the soup gave these potatoes such a nice texture! nice one would be perfect addition! I have a weird fondness for canned cream of potato soup so I just KNOW I'd love this one, Christine! Yummy! I have never seen a cream of potato soup. But it does have a nice texture to the potatoes. Oh wow! I have to try this. I'm sending this to my daughter. I know she will love this, me too. Thanks Christine. I just had to see what you added to this, Christine! (The potatoes look "creamy fluffy!") Thanks for the onion facts, too! No cream of potato soup here too, I enjoyed mashed potatoes just the same:) your version sounds delicious! What a great twist on regular old mashed potatoes! That looks good--lots of flavor added between the onion powder, the soup and the butter. Mashed potatoes are a reassuring dish.